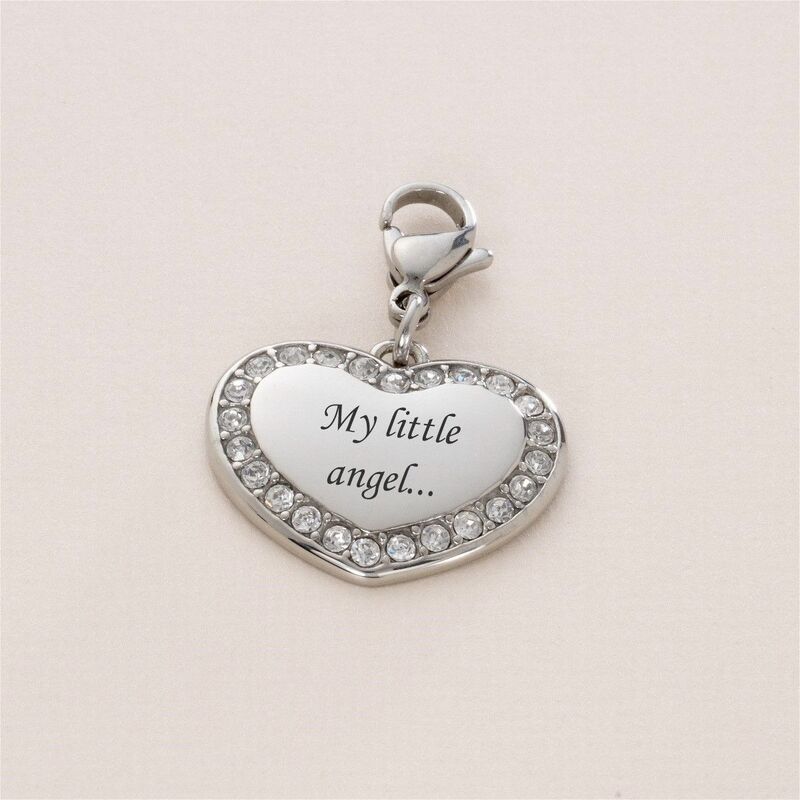 Engraved Memorial Charm, My Little Angel, Stainless Steel. A high quality stainless steel heart charm with beautiful crystals surrounding the heart on the front. 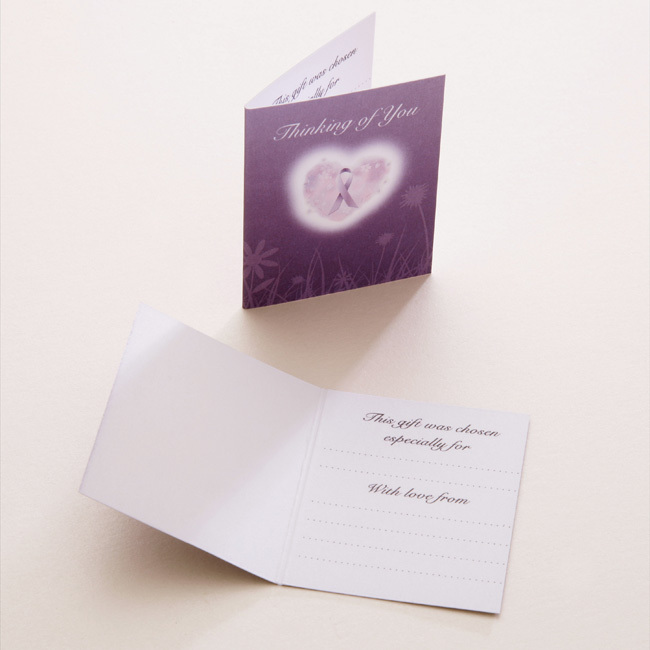 The back of the heart is plain satin finished steel, perfect for engraving your own choice of words. 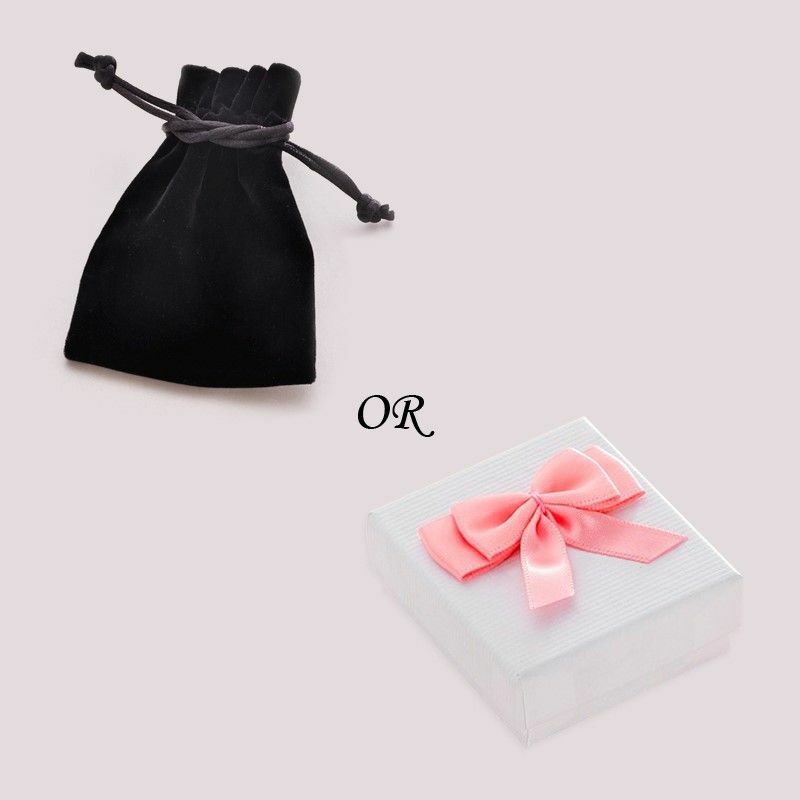 Comes packaged in luxury velour gift pouch or a gift box, as shown along with a Thinking of You gift card.